We often think of the spring season as a time of renewal, and the best way to hit refresh is with an upgrade to your home. 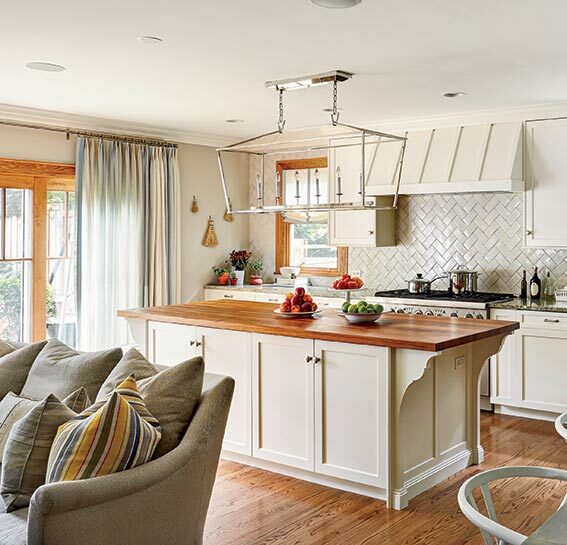 In that same spirit, the Hinsdale Chamber of Commerce will be hosting its third-annual At Home in Hinsdale: A Home Design & Remodeling Showcase on Saturday, April 22 at The Community House (415 W. Eighth Street) in Hinsdale. The one-day consumer home expo will showcase a variety of local businesses related to both interior design and remodeling. Julian herself is also personally invested in the Hinsdale community, having recently become a member of the Chamber and working with a number of clients within the area. 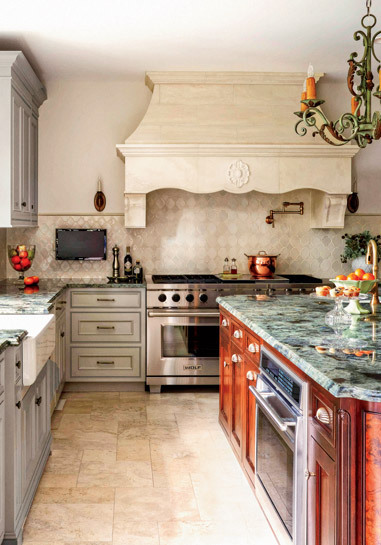 Her design firm, JKD, specializes in high-end kitchens, baths, and built-in millwork. Julian regularly collaborates with architects, interior designers, builders, and contractors, creating a functional space to suit the lifestyles of her clients. She has designed spaces in historic and modern suburban homes, city high-rises, and show houses within Chicago and its surrounding suburbs, as well as throughout the country. According to Julian, style is entirely dependent upon her clients’ personal wants and needs. First and foremost, Julian and her team strive to create functional family homes. To do so, Julian relies on in-depth meetings with the homeowner to uncover the aesthetics desired for a comfortable and hospitable space. JKD believes kitchens and bathrooms, in particular, engage all of the senses and invite you in. The design of these spaces is a highly detailed discipline, requiring both creativity and analytical skills. Julian’s design philosophy is to use expertise and enthusiasm, resulting in the joy of the client. Julian recommends first-time visitors allow enough time to speak to the vendors they are most interested in and to remember, in addition to vendors, there will be four free educational seminars about various home design and remodeling topics with time for questions and answers from attendees. “The Chamber has always been a wonderful vehicle to connect local businesses with both each other and with the extended community,” says Julian. 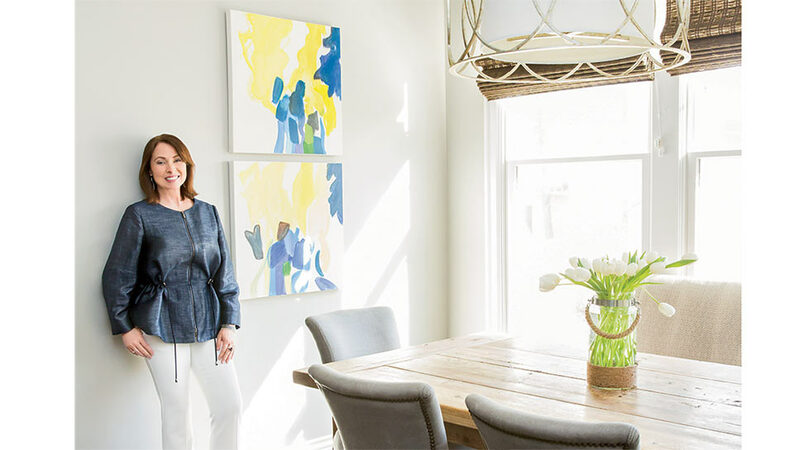 She has her personal favorites within the area, including JC Licht, where Julian finds Farrow & Ball paints; The Courtyard; Bedside Manor; and the Design Bar, which is owned by another member of the Hinsdale Chamber of Commerce, Leslie Bowman. 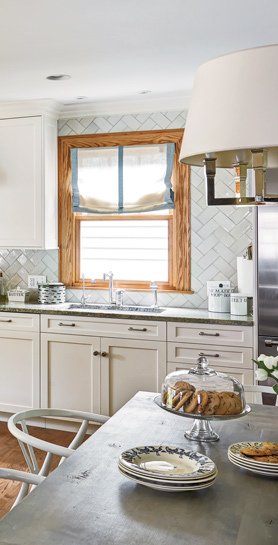 To learn more about home interiors and design, check out “At Home in Hinsdale: A Home Design & Remodeling Showcase” on Saturday, April 22 at The Community House (415 W. Eighth Street) from 10 a.m. to 3 p.m. Admission is free, and sponsors include Conlon Christie’s, Evergreen Bank Group, Koshgarian Rug Cleaners, Beverly Environmental LLC, County Line Audio Video Solutions, King’s Landscaping Co., and LaMantia Design & Remodeling. Additional exhibitors include over 30 local businesses related to home design and remodeling, such as interior designers, homebuilders, remodeling contractors, home technology companies, landscapers, tradesmen, real estate agents, furniture, flooring, and furnishings. For information about Julian Kitchen Design, visit juliankitchendesign.com or call 630-852-8800.